Before Christmas I signed up to get the Bows Beauty Box which was a small beauty box for bloggers. You didn't know what you were getting it was a suprise and it only cost £10! One of the items was the Dr Botanicals Moroccan Rose Superfood Facial Oil which retails for £40 plus. I have been using it over a month and im really impressed. The Facial Oil is designed to rejuvenate, repair and protect the skin. My skin is extremely sensitive especially on my cheeks. When I first tested this I used the smallest amount all of over my face and it didn't irritate my skin at all. It has a subtle scent and feels very lightweight on your skin. You use the dropper applicator to apply it, I have found it best to apply the dropper onto my face rather than my hands as it runs everywhere! Vitamin C - Helps keep your skin looking younger. Vitamin A - Helps reduce signs of aging, rejuvenates your skin and evens skin tone. Almond Oil - Moisturises and Nourishes your skin whilst helping to brighten your skin. This facial oil can used on any skin type whether suffer with dry skin, acne, combination etc... I have oily/combination skin depending on the weather and I find this oil really has helped my skin look healthier. I apply it every night after cleansing. It sinks into the skin quickly and it instantly feels refreshed and moisturised. Over the month I have definitely noticed my skin looks better, it just has this lovely glow. I definitely feel better on those no makeup days. 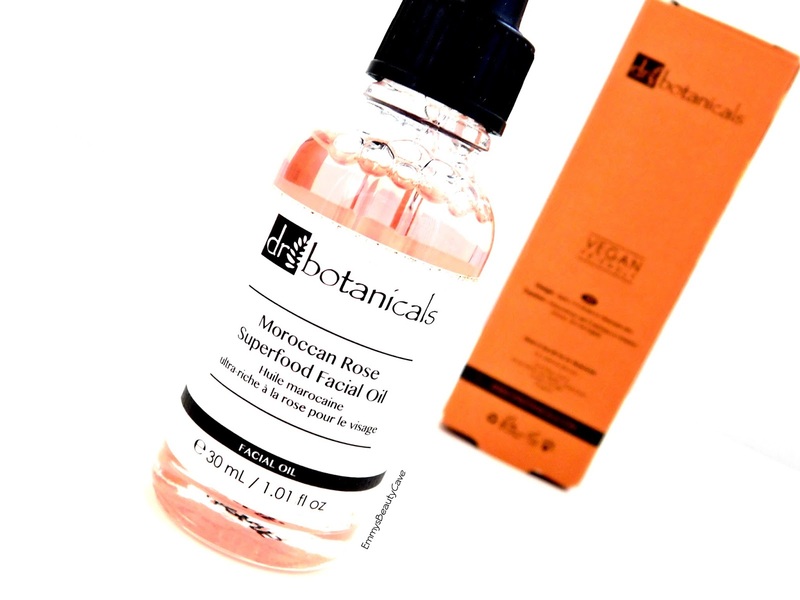 You can buy the Rose Facial Oil from the Look Fantastic Website.